What we are trying to do is take horror back to it's roots of the slasher movies of the 80's with some modern twists and turns. With the horrors that come with the season of Halloween, it will be a “fun” ride for our unsuspecting characters. It will be a slasher flick that you definitely will not forget. We are a fan of horror movies ourselves and we know what you, the fans want. Why do we need your help? We have a story to tell, an art, that we want to put into film, and to do that, we are asking for donations. This movie WILL BE MADE, just how big and awesome it gets will come from you. Your money will help us with the filming of the film (by getting us the right equipment and software that we need), paying for the actors, costumes and of course, special effects and gore - the more we raise the bloodier we can get! Each dollar we raise, will help the film get bigger and better. We know you work hard for your money, and with that, we are offering up some great perks (along with our every unDYING gratitude), with more on the way, including official props from the movie. 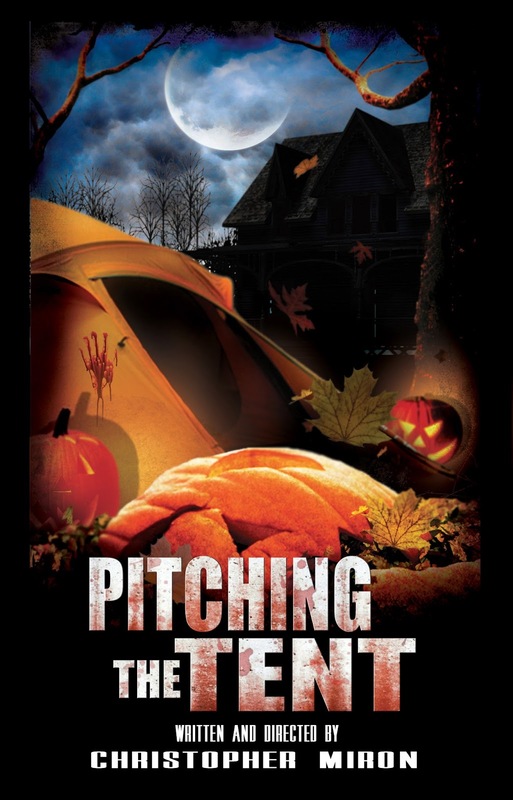 Again, your support for Pitching the Tent and horror is what makes us want to make it!